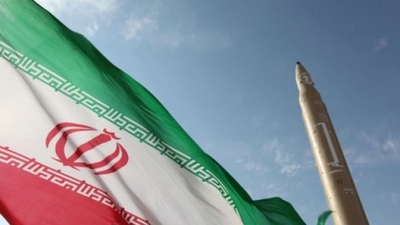 On July 14, 2015, The U.N. Security Council adopted UNSCR 2231: "The resolution's provisions should, pending confirmation of implementation, expire 10 years after its adoption, and with that, it would remove the Iranian nuclear issue from its agenda." And on Aug. 18, 2015, the Institute for Science and International Security (ISIS) released a report that said, "The JCPOA has many strengths but one of its most serious shortcomings is that it almost ensures that Iran can emerge in 15-20 years as a nuclear power with the potential, at a time of its choosing, to make enough weapon-grade uranium for several nuclear weapons within a few weeks." All but the most generous perspectives recognize that the nuclear deal will fail unless it is embedded in a larger strategy that keeps the pressure on Iran and keeps a very close eye out for cheating. The pressure that will have the greatest effect on Iran is that which holds the regime's survival at risk and makes double-dealing without detection hard. The National Council of Resistance of Iran (NCRI) and its largest unit, the People's Mujahedeen of Iran (PMOI) — more commonly known as the Mujahedeen-e- Khalq (MEK) — are in a good position to detect cheating and be the tip of the political spear within Iran. The NCRI's claim to monitoring is strong, but could be reinforced if it had the support of the West. Likewise its contribution to pressuring the regime requires more backing from the West. In Not by Sanctions Alone penned July 13, 2013, for The Washington Institute for Near East Study (TWI), Michael Eisenstadt argued that in addition to sanctions, military and "other means" were necessary to bolster nuclear diplomacy with Iran. Concerning the military, on Jan. 5, 2016, Israeli Prime Minister Benjamin Netanyahu told former Ambassador Dennis Ross that President Barack Obama said to Netanyahu that he had taken the military option off the table. At issue is what groups might be most suitable to lead internal regime change. The NCRI is in a good position to help lead a coalition that rejects clerical rule in Iran. There is evidence that other groups that sought to make deals with the regime have withered away. As reported in my 2006 book, Appeasing the Ayatollahs and Suppressing Democracy, a number of groups were destroyed by the regime. To name but a few, the Organization of Iranian People's Fedai Guerrillas fell victim to Supreme Leader Ayatollah Khomeini's efforts to create disunity, and by 1980, the group fractured. Some of the leadership cooperated with Khomeini and aligned itself with the communist Tudeh Party. This faction changed its name to the Organisation of Iranian People's Fedaian Majority, dropping the "guerrillas" to reflect a plan to participate peacefully in government. Despite its endorsement of the clerical establishment and call to arm the Revolutionary Guard with heavy weaponry, the Fedaian Majority was suppressed by Khomeini in the 1980s. It regrouped in exile but remained dedicated to working through the existing political system to achieve reform. How? By throwing support behind approved parliamentary and presidential candidates, the group sought the favor of the regime, but to no avail. The Green Movement has taken a page from the failed playbook of others that withered on the vine, despite cutting deals with the regime. The Iranian Green Movement faction headed by former Prime Minister Mir Hossein Mousavi, accepted clerical rule. On Feb 11, 2015, Akbar Ganji, an Iranian investigative journalist and dissident who is a friend of the "Greens" and imprisoned in Tehran from 2000 to 2006, stated that, "Since February 2011 the leaders of Iran's Green Movement, former Prime Minister Mir Hossein Mousavi and his wife Dr. Zahra Rahnavard, and former Speaker of the Majles [parliament] Mehdi Karroubi have lived under strict house arrest, ordered by Iran's Supreme National Security Council (SNSC)." The Iran Primer, an organ of the U.S. Institute of Peace, issued a report favorably inclined toward the Green Movement. It stated that during the fall of 2009, demonstrators yelled slogans: "Others chanted, 'Khamenei is a murderer. His rule is null and void.'" This post infers that "others" is an indirect reference to the NCRI, which is often not mentioned explicitly by supporters of the Green Movement. Circumstantial evidence that the chants were NCRI in origin may be seen in that its supporters received the most severe suppression from the demonstrations.